A typical Filipino breakfast would include one or two of longganisa, tocino, danggit, itlog na maalat, freshly-cut tomatoes, garlic rice, and of course, Atchara. Eating atchara is a habit among Filipinos that has been handed down through generations. Atchara is a pickle made from grated unripe papaya that is popular in the country. It is the Philippines' counterpart of the Korean kimchi that was derived from Indian cuisine that it is often served as a side dish for fried or grilled foods such as liempo, fried chicken etc. The sweet-sour taste makes it also an ideal side dish for as smoky pork barbecues. 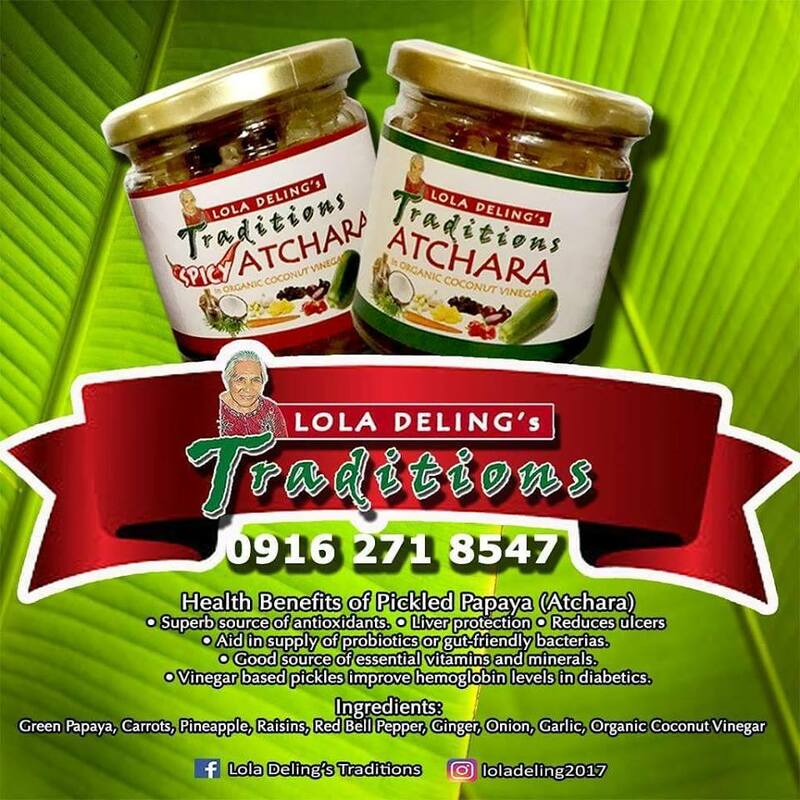 Now, Lola Deling's Tradition gives more justice to the atchara with its quality, organic ingredients. Each bottle has papaya, pineapple, raisins, ginger, onion, garlic, carrots, and red bell pepper, mixed in its organic vinegar. It is a great, healthy condiment to complement any meal. Lola Deling's Atchara also comes in spicy variant. It uses "siling labuyo" to give that added heat and zing which your tastebuds crave for. I love atchara that I eat with almost every viand. With Lola Deling's Tradition, I can say I've found my true atchara love! It has become part of my healthy lifestyle! Do give in to your cravings. Let Lola Deling's Atchara pave the way to your healthy lifestyle like it did mine.